It’s often cheaper to buy a home than it is to rent one. 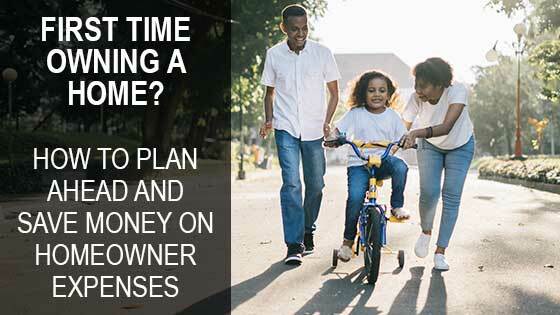 Even so, there are some important homeowner expenses that you’ll want to be aware of from the get-go. Aside from your mortgage payment, there are fixed-monthly expenses that homeowners usually budget for like power, utilities, taxes and even general maintenance items like painting and landscape care. However, it is the unexpected repair costs that aren’t planned for that can throw your budget out of whack. Following are some tips that can help first-time home buyers save for both expected and unexpected maintenance and repair costs. Mortgage Investors Group has been rated the number one mortgage lender in the state of Tennessee and offers a number of mortgage loan options to make it easy for you to pick the one that best suits your needs and budget. Do careful research before applying for a mortgage to see which one is right for you. Those who intend to purchase a home that needs a lot of repairs may find an FHA 203(K) Streamline loan to be ideal. Individuals who have limited income may want to choose a 30-year mortgage loan rather than a 10 to 15-year one. Talk to a mortgage broker about the pros and cons of any loan you are considering in order to make a well-informed decision. Related Read: A 15- or 30-Year Mortgage: Which is Right For You? Homeowners insurance can save you money and heartache if a major disaster hits your home. Consider various policies and deductible options and select a policy that provides the coverage you need at a price you can afford. It is especially important to choose a policy that offers coverage for disasters that are common in your area. Real estate experts recommend setting aside 2% of your home’s value each year for unexpected maintenance and repair expenses. Having a reserve of money specifically for home expenses will help you avoid going into debt if you have serious roofing, plumbing or HVAC problems. You don’t have to spend a lot of money on costly remodeling jobs in order to boost your home’s value and/or create a comfortable living environment. Even small jobs such as painting the kitchen cabinets or replacing old faucets can make a big difference. The ability to do some of the repairs and maintenance yourself will save you money and not cut into the savings that you have set aside for major repairs. Large jobs may require the help of a professional, and the peace of mind that comes with knowing a repair was done properly is worth the money spent. Being blindsided by unexpected homeowner expenses is never easy. However, with some pre-planning, you can ensure that you will have the money you need to maintain your home responsibly.